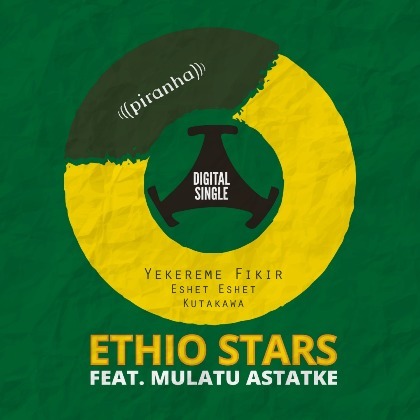 "Addis 1988" additional DIGITAL EP - "Yekereme Fikir", from Ethio Stars feat. 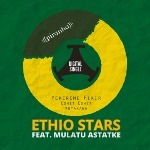 Mulatu Astatke is now available online! 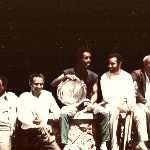 Complementing Piranha Records "Addis 1988" audiophile 180g vinyl re-release of Mulatu Astatke's 1988 Sessions with Ethio Stars and Tukul Band - here are the two remaining Ethio Stars tracks from the original "Addis" release in 1992, PLUS an additional gem from the sessions, previously unreleased. "YEKEREME FIKIR" - "Old Love". A veritable Roots Reggae tune, particularly relaxed, with luxuriously rich Amharic melodies and harmonies, it is one of Ethio Stars singer Getachew Kassa's most successful songs and signature tunes. "ESHET ESHET" - an enthralling Ethiopian melody with an irresistibly easy going Ethiopian mid-tempo Pop sound. "KUTAKAWA" – previously unreleased, this world exclusive adds a chunky element of exhilarated Disco / Party to the Reggae, Jazz and Funk grooves of the original version. It takes a minute to pump up - then struts and prances lustfully to a melody and hook equally as flashy and catchy.